I’m seeing new behavior in a young 19 month old male coyote youngster. He — I would call him a “teenager” in coyote years — lately has been running in the direction of particular dogs to get a closer look as they walk through his park. Unbound curiosity seems to be what is driving the behavior, but it occurred to me that there might be a longing for more companionship. The coyote never gets closer than about 75 feet or so before he stops, looks more closely, and sniffs intently with his nose high in the air, gathering all the information he can — olfactory, visual, auditory, and maybe more that we humans can’t sense, such as pheromonal cues — about the dog which is passing by. The behavior does not seem to involve any protective territorial behavior. There is never any sign of hostility or antagonism of any sort. The coyote just seems to be very interested in these non-family, non-coyote canines. I have encountered coyotes that play through the fence with other dogs. 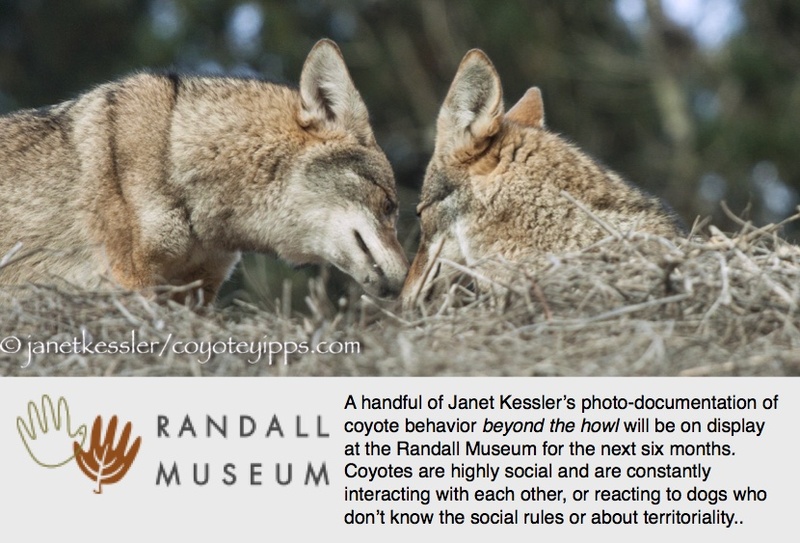 Coyotes also interbreed with domestic dogs, so if there is a female in heat, they will be drawn to her. I do greyhound rescue and had a greyhound/coyote pup surrendered to our group when the woman was forced to move from her home. She said a coyote frequently visited her unspayed female greyhound, then one day the greyhound had pups. They looked like brindle coyotes! It’s kind of interesting because although female dogs come into heat twice a year and male dogs are always reproductively viable, this is not so for coyotes. Coyotes come into estrus only once a year, usually at the beginning of the year, and the males only produce sperm — spermatogenesis — at this one time of year. There is, of course, some overlap with resulting coydog pups, but, as far as I know, it’s not so common because of the very different cycles.